Home › Home and Kitchen › Aoocan Handle For Yeti Rambler 30 Oz Tumblers Rtic Sic Cup Ozark Trail And Mo.. The handle fit for your yeti cup ,but also fits most car cup-holders. Also fits the 30oz RTIC, Kodiak, SIC ,Boss and others. BPA free, FDA approved, Highly durable Polypropylene adhering to ASTM standards (American Society for Testing and Materials). Anti-slip rubber design will guarantee,Comfortable Handle Firmly Grips your Tumbler at any Angle, Even Upside Down. Color: Sky Blue Top Selling Color Handle On Amazon. Satisfaction guaranteed. Manufactured by Aoocan Cups. Ships from the USA. The AOOCAN handle has beentested on various branded 30 oz tumblers and perfectly fits the YETI tumbler, RTIC, SIC Glacier, Grid Gear, Eskimo, Thermik,Ozark,Magnum Steel, Kodiak,Boss, Polar Drifter, Engel, Titan, Polar Pad, Smart, ICONIQ, Epic, Bison, K2,Smart, Zero, Kryo Kup, Iceberg and Frosti tumblers. The Aoocan brand, Aoocan Logo and the Aoocan Cupsbrand are registered trademarks of Aoocan Cups. 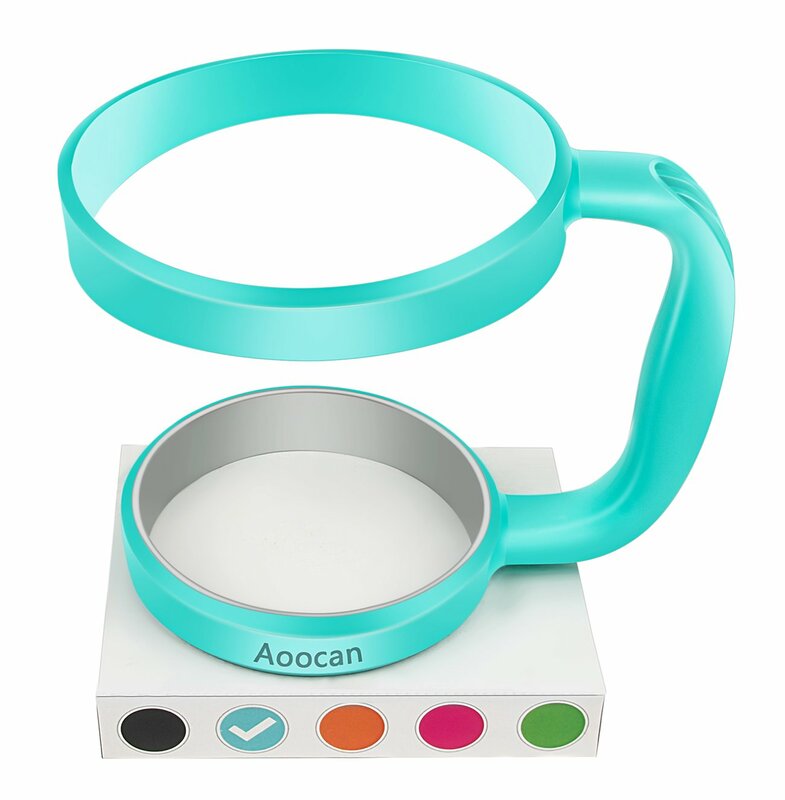 Aoocan handle is not only a perfect fit for your cup but also fits in most carcup-holders.